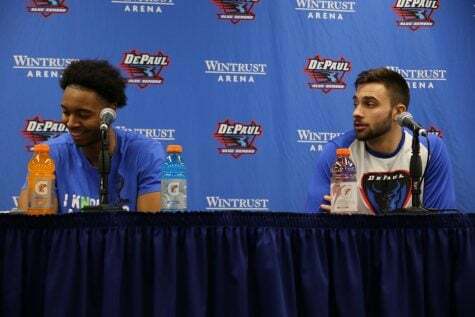 On Monday evening, senior guard Max Strus summed up how many within the DePaul Blue Demon men’s basketball program feel about the team’s participation in the College Basketball Invitational tournament. 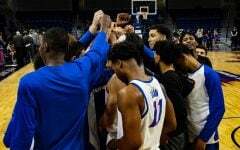 Later on Monday evening, the men’s basketball team gathered at McGrath-Phillips Arena to support the Blue Demon women’s basketball team, who happily celebrated their 17th consecutive qualification to the NCAA tournament with a selection show watch party. Someday soon, the men hope it’ll be their turn to qualify for the NCAA tournament. 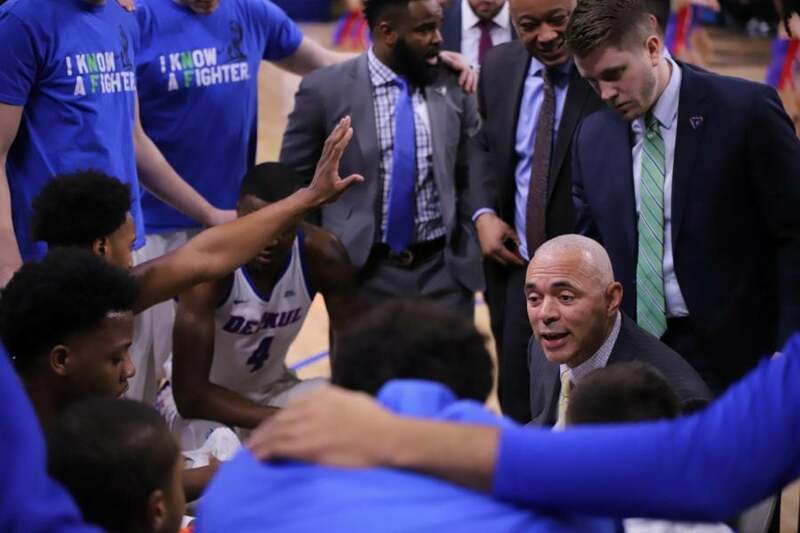 But for now, the Blue Demons will settle for the CBI a tournament often viewed as an afterthought amidst the excitement of March Madness and the NIT. 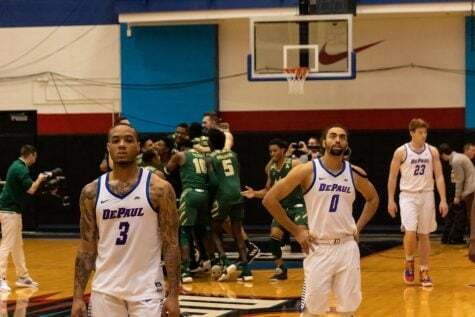 DePaul is the only Big East program that failed to qualify for the NIT or NCAA tournament this season. Lifelong DePaul basketball fan Logan Simios, who’s been attending Blue Demon games since the late 60s, says he begrudgingly renewed his season tickets this year. Losing season after losing season left Simios asking if his season tickets — which have been in his family for more than half a century — were worth it. 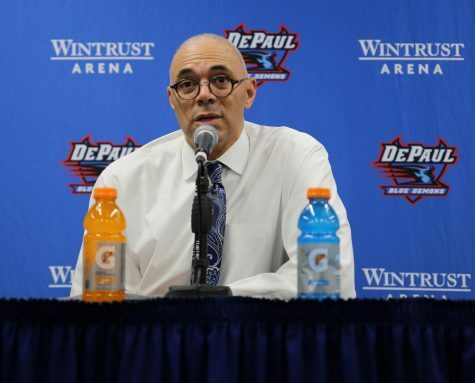 Simios welcomes the opportunity for DePaul to play in the postseason and said he will be renewing his season tickets for the coming year. But the two aren’t related. Simios says he would like to see a coaching change, even at an assistant level if Leitao sticks around to see his recruits to Lincoln Park. And as he carries an NIT-or-bust mindset into next year, he says the athletic department will need to make changes from the top down at some point. The inaugural CBI tournament tipped off in 2008 with Tulsa beating Bradley in the championship. 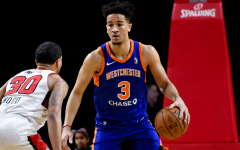 It is run by the Gazelle Group, which sponsor four college basketball events over the course of the year including the Empire Classic, Legends Classic and Gotham Classic along with the CBI. The tournament features 16 NCAA Division I basketball teams that failed to make the NCAA tournament or the NIT. Teams pay to host games. In previous seasons, the entry fee to host first round games was $50,000. CBI tournament officials wouldn’t say how much DePaul paid this season to host its first round game, although others are reporting that West Virginia and Southern Mississippi paid $40,000 to host their first round games. Before West Virginia and DePaul make appearances this season, 2015 was the last time a team from a power conference school [ACC, Big East, SEC, Big 12, Big 10, and Pac 10] played in the CBI. This season, 14 of the 16 teams are mid majors. West Virginia has the best KenPom.com ranking in the CBI tournament field (No. 95) followed by Utah Valley (No. 96), Southern Mississippi (No. 101), and DePaul (No. 103). The pay-to-play nature of the tournament coupled with the lack of prestige causes many teams to press the skip button when given the opportunity to play in the CBI. But for DePaul, a program that hadn’t played in a postseason tournament since 2007, playing in the CBI might make a lot of sense. Cain has played 124 career game in a Blue Demon uniform. After a disappointing 82-74 loss last Wednesday at the hands of St. John’s in the first round of the Big East tournament, he wasn’t ready for his DePaul career to be done. Neither were fellow seniors Strus and Femi Olujobi, or really anybody on the team. Postseason experience in any capacity is valuable for a team that expects to make a jump forward next season with the guys returning, the now-eligible redshirts, and a strong incoming recruiting class. CBI success has served as a precursor for NCAA tournament success for other teams in the country. Six miles up the road, Loyola Chicago’s 2015 CBI tournament championship precluded a run to the Final Four in the NCAA tournament three years later. Nevada has qualified for the NCAA tournament every year since winning the CBI in 2016 and spent most of this season as a top 10 program in the nation. Even a fanbase made jaded by a 15-year NCAA tournament drought and 11-straight losing seasons prior to this year can see the logic behind playing in the CBI. Disappointed that it isn’t the NCAA tournament or NIT, but excited to finally play games that matter past the Big East tournament. That’s the sentiment making the rounds amongst the program as they prepare for Central Michigan Wednesday night at McGrath-Phillips Arena. They hope the CBI will be a turning point for the program like it was for Nevada and Loyola, but for now are just excited for at least one more opportunity to play basketball together. Where is Carte arre Gordon? He is missing from class and games? Explanation athletics please!